The immortelle season is short, with flowers beginning to grow in the spring and a full bloom in early June. Sheep graze in the immortelle fields. 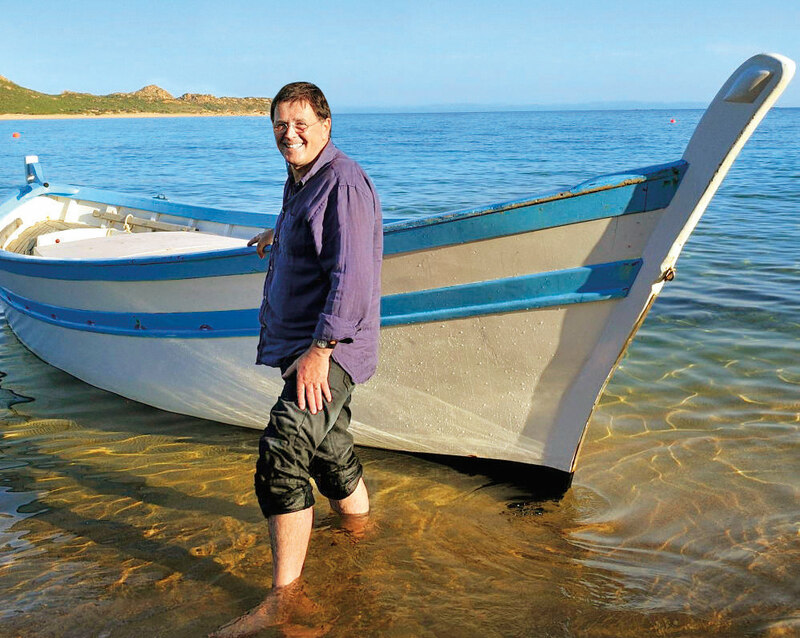 Olivier Baussan, founder of L’Occitane en Provence, spent his childhood vacations in Corsica. As an adult, he continues to visit. A pre-harvest test distillation to ensure the immortelle has reached its optimum molecule potency. 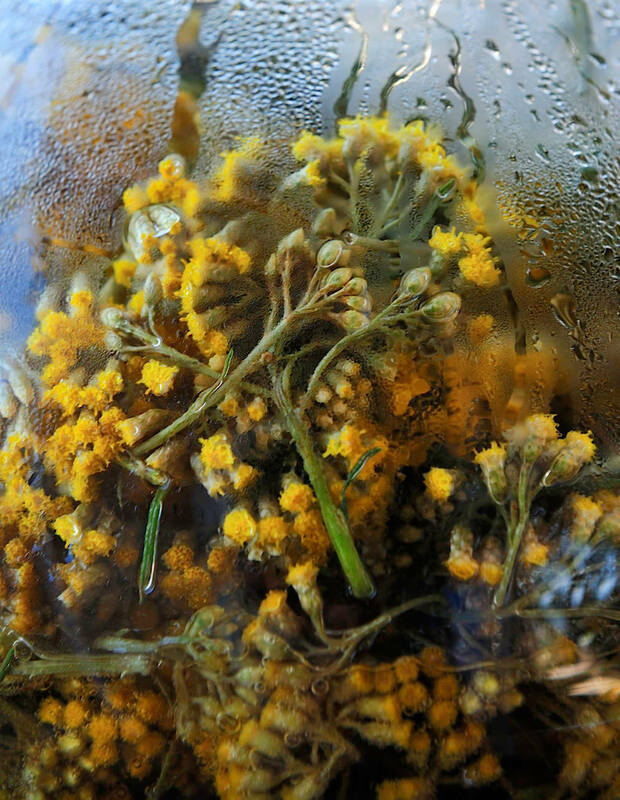 The distillation of the immortelle flower. L’Occitane’s Immortelle skin-care range is a collection of 22 products. A blanket of yellow covers the rolling hills of Corsica, France’s island of beauty, creating a scent that drifts far out to the sea. The arid maquis is densely layered with myrtle, rosemary, thyme, sage, and cork oak; alongside this fragrant scrubland are fields of immortelle, a vivid yellow flower that mingles mightily. With a scent like fenugreek and hints of curry, immortelle is the sunny joy of the Mediterranean. Immortelle has been used in many healing formulas: historically it was the chosen remedy for chronic skin conditions and lymphatic system problems, as well as for treating migraines and liver ailments. The flower holds within it a precious essential oil with potent anti-aging properties that form the cornerstone of the L’Occitane en Provence Immortelle skin-care range. So hardy is immortelle that even when picked, the flower does not fade; thus, it’s referred to as the everlasting flower. Helichrysum italicum, a variety that grows on Corsica, is one of the 600 existing species of immortelle. When L’Occitane first launched the Immortelle range in 2001, the plant was picked from the wild. However, because of the quantities required for the production of the skin-care range, a collection of 22 products, the supply was not sufficient to meet a long-term need. As such, in 2004, L’Occitane launched the very first organic and sustainable plantation of immortelle in Corsica. Antoine Piéry is a man of terroir and one of eight immortelle growers who work in partnership with L’Occitane on the island. Piéry inherited his land in Aléria, on the east side of Corsica, from his father, and was looking to turn it into something. “It started with the financial support of L’Occitane,” says Piéry. “They gave me the financial support to start the plantation, so I actually collected the seeds from the wild, in the land nearby.” L’Occitane’s start-up kit was a salary for the two-year period it took for the plants to mature for first harvest. Since the project began, 44 hectares of immortelle have been planted; the 2011 harvest produced nearly 200 kilograms of essential oil. The immortelle plant is so adapted to the island that there is no need for treatment, chemical fertilizers, or irrigation. It is hardy and robust, and used to the arid soil of the maquis. Then there are the sheep. 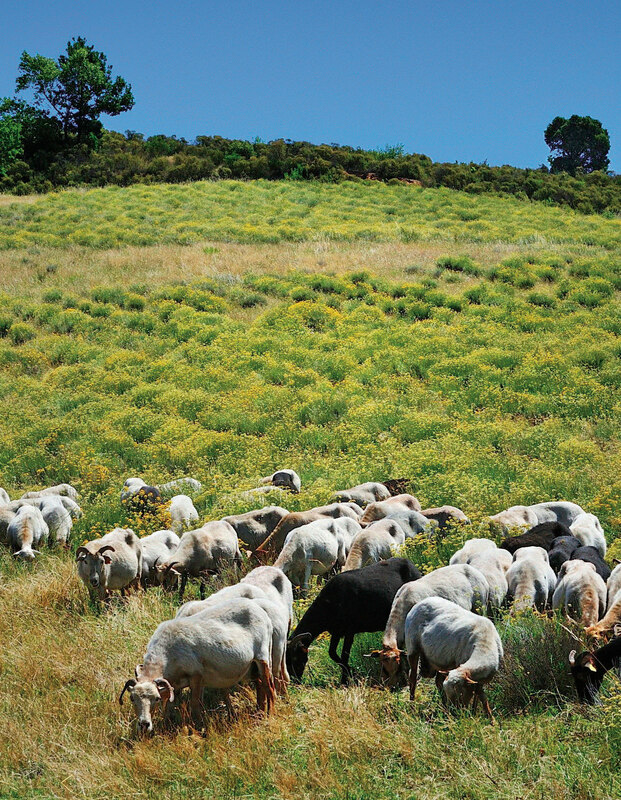 Toussaint, a neighbouring shepherd, has his flock graze in Piéry’s fields; the sheep eat the grass around the immortelle (the plant itself is not to their delight) and help to naturally fertilize the soil. “This is very organic,” says Piéry of the weeding system. “Without the sheep, I would be paralyzed with the slope [of the land]—it would be near impossible to cultivate two hectares.” (Piéry’s is a no-machine operation.) 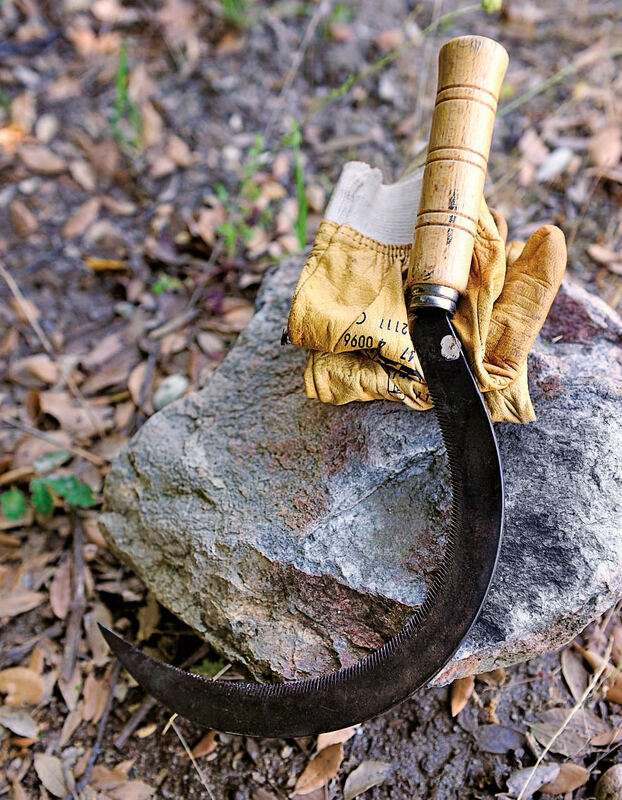 There are some invasive plants the sheep don’t eat, and Piéry uses a hand-held weeder to remove them. “You have to observe what happens in the wild, in nature—and in a way, they will give you the solutions,” says the proud Corsican. No truer are the words hand-picked, as the husband-and-wife team move across their two-hectare field, up and down, row after row after row, grasping and cutting bunches of immortelle. The immortelle season is short, with flowers beginning to grow in the spring and a full bloom in early June. During the harvest, work begins at daybreak as Piéry and his wife, Marianne, take to the fields with gloves and a sickle, the only tool used to harvest. 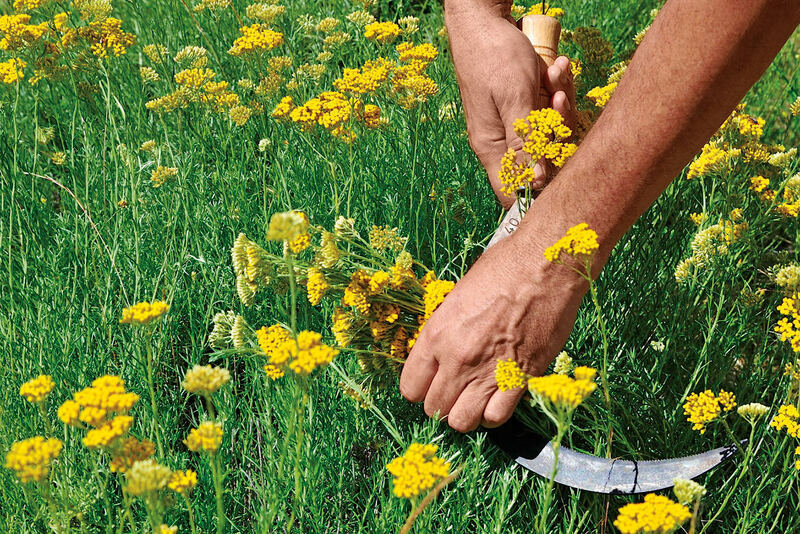 No truer are the words hand-picked, as the husband-and-wife team move across their two-hectare field, up and down, row after row after row, grasping and cutting bunches of immortelle—a 20-centimetre stem cut is the ideal. There is nothing but the spectacular aroma and the quietness of the field. Bunch after bunch, heaps and heaps of immortelle are piled, and then transported to the distillery. “Once picked, the flower is distilled on the same day to keep all the properties of the plant,” says Piéry. “Often in laboratories, one looks for sophistication, when actually it is in the wild that you will find a plant with all the qualities you seek,” says Olivier Baussan, the 60-year-old founder of L’Occitane. “This was the case with immortelle.” At Domaine de Murtoli, a hidden jewel­ of an estate on the south of the island, Baussan has his toes nestled in the sand and a smile as bright as the sun above as he looks out to the clear blue water and recounts how immortelle became a pillar of the L’Occitane range. “I was driving up towards Bastia, to the airport, and I saw a sign by the side of the road that read ‘essential oils’ with an arrow pointing in the direction of the hills. I had a little time before my flight departed, and my curiosity drove me to see what was happening there. 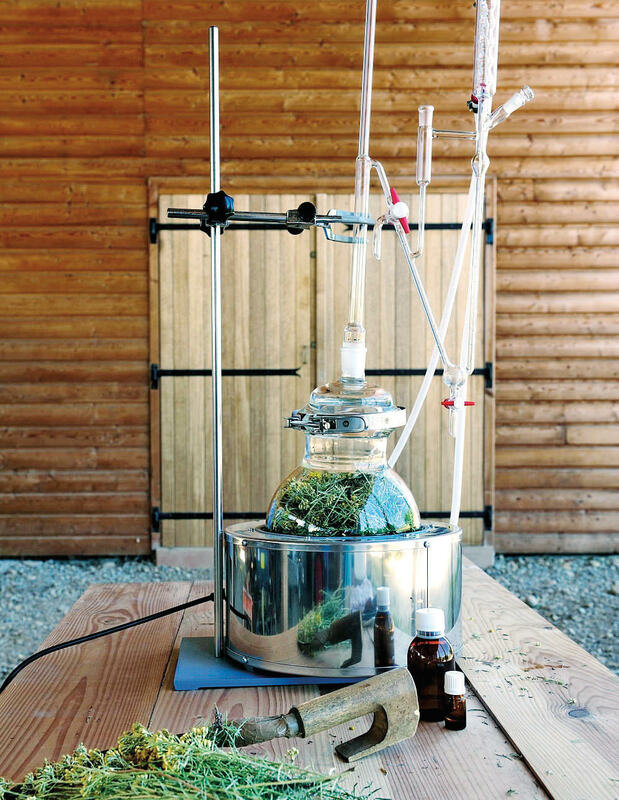 “There was a really, really strong smell, and I couldn’t make out what it was,” says Baussan, a former literature student who started distilling and selling rosemary oil in Provençal open-air markets at the age of 23. “There was a man, working with a pitchfork, and we started talking, and he explained he was distilling immortelle, a tradition in Corsica that was becoming lost. The oil was used as an anti-bruising ointment, considered much more powerful than arnica. J’avais le sentiment d’avoir trouvé quelque chose de merveilleux,” he says. Baussan spent his childhood vacations in Corsica. Immortelle was not new to him, but the therapeutic properties of the plant were. Until this point, immortelle was, to him, a wild plant that brushed the Corsican landscape. “When you grow up in Provence, going on holidays means going to the sea. And for me, the sea has always been Corsica,” he says. With a small flask of the essential oil in hand, Baussan returned to Manosque, where L’Occitane’s sprawling factory and laboratories are located. The team of chemists began working with the product and discovered the anti-aging properties of the essential oil. “That’s really how the story happened,” says the founder. 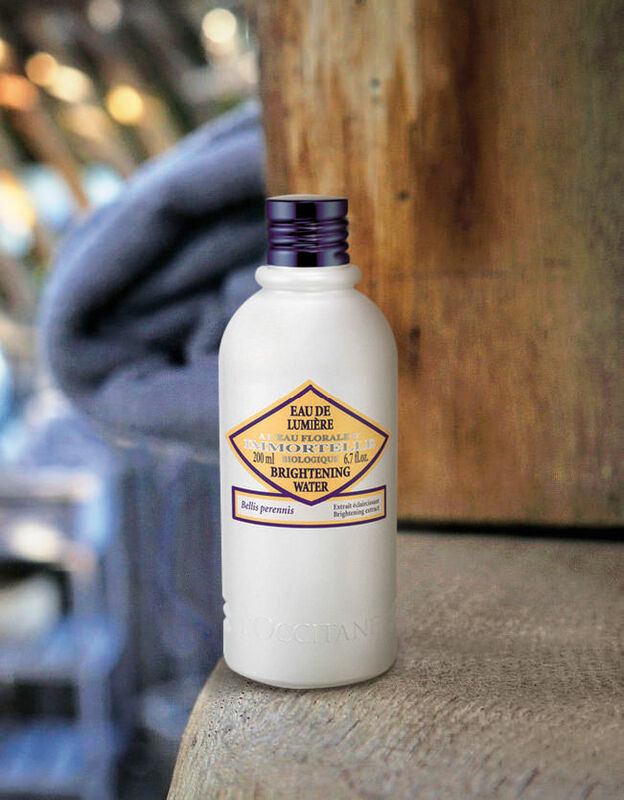 A happenstance meeting led L’Occitane to devote an entire skin-care line to the humble little plant. Baussan is an entrepreneur fired by a deep respect for nature. “What is sown in the land is going to grow. You need to take the time to look, to find things,” he says. Baussan is an entrepreneur fired by a deep respect for nature. It is, he believes, an essential value that both underpins and differentiates the brand. “What is sown in the land is going to grow. You need to take the time to look, to find things. C’est une philosophie de prendre son temps. It’s not easy for marketing to come up with words to evoke that,” he says. A visit to one of the 1,053 gold-painted boutiques spanning the globe (there are 2,082 total points of sale, including airports and shop-in-shops) reinforces this view. These boutiques offer an array of skin-care products and fragrances created from natural ingredients packaged with sophistication. They project an image of countrified Provence and reflect the etymology of the name: the spirit and culture of Occitania, a medieval province that stretched across southern France. In 1976, Baussan started making essential oils and shampoos with just an old steam distiller and a van. He opened his first shop in 1979. A fortuitous meeting in 1980 with an owner of an old Marseille soap factory led to the owner giving Baussan the equipment as well as the know-how. From those modest beginnings, L’Occitane was born. Today, L’Occitane products are sold in more than 100 countries and consolidated net sales for 2011 were €772-million ($949-million Canadian).